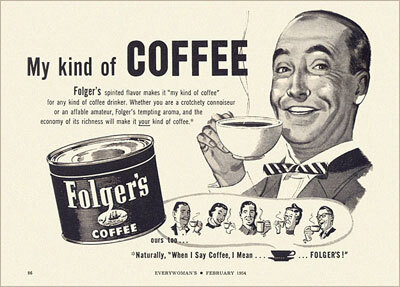 Everything indicated that the American divorce rate would drop after the invention of Folgers Crystals. Research indicates, however, that in the early 1960s, when these commercials were introduced, divorce was at its lowest rate of the decade. Over the next ten years, the divorce rate doubled. « Ho Lee Fuk Deez Nuts – When Can News Be Trusted?